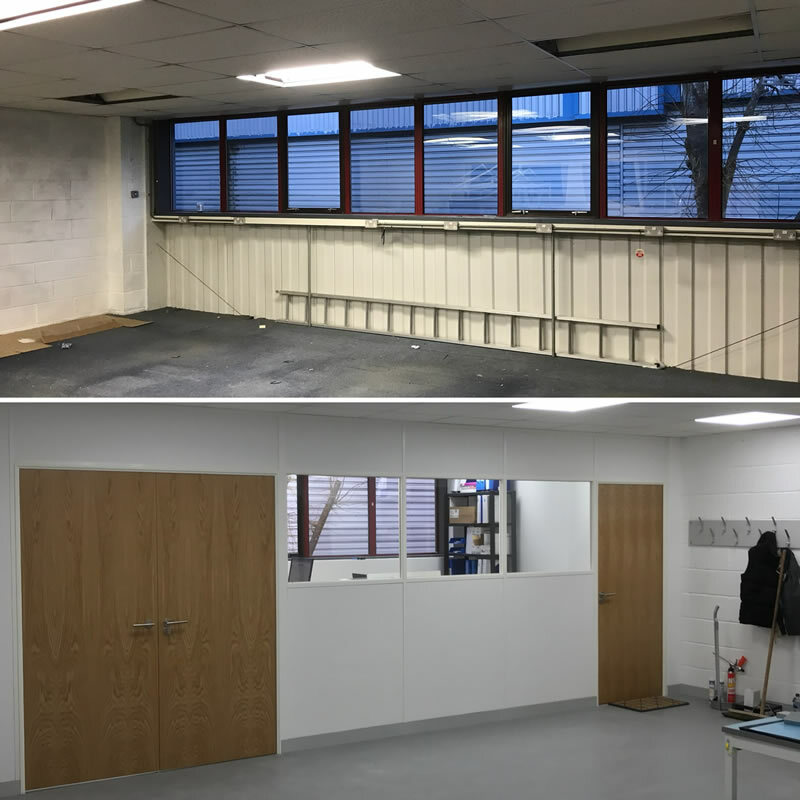 Hampshire Commercial Refurbishment can provide a fully comprehensive selection of partitioning to meet any requirements, including Fire Protection, Sound Control and impact resistance. From the creation of a single office or breakout area, to the complete redesign or refurbishment, we can provide a solution to suit your requirements and your budget. We source our materials from a group of high quality manufacturers so we can offer a partition system to match all your performance and visual requirements. Solid Partitions are generally created from a metal framework, overlaid with a single of combination of board to suit its performance criteria. The plasterboard sections can be finished and decorated to give a smooth uniform surface, or receive a vinyl and cover trim combination to provide a budget friendly option. We have numerous window and door combinations to make each project bespoke to your requirements. Glass partitions can be used to give that feeling of “open plan” with added advantage of creating a private workspace. They will make a great addition to any workspace, to create meeting rooms or offices and these are all options that can be created easily and quickly. 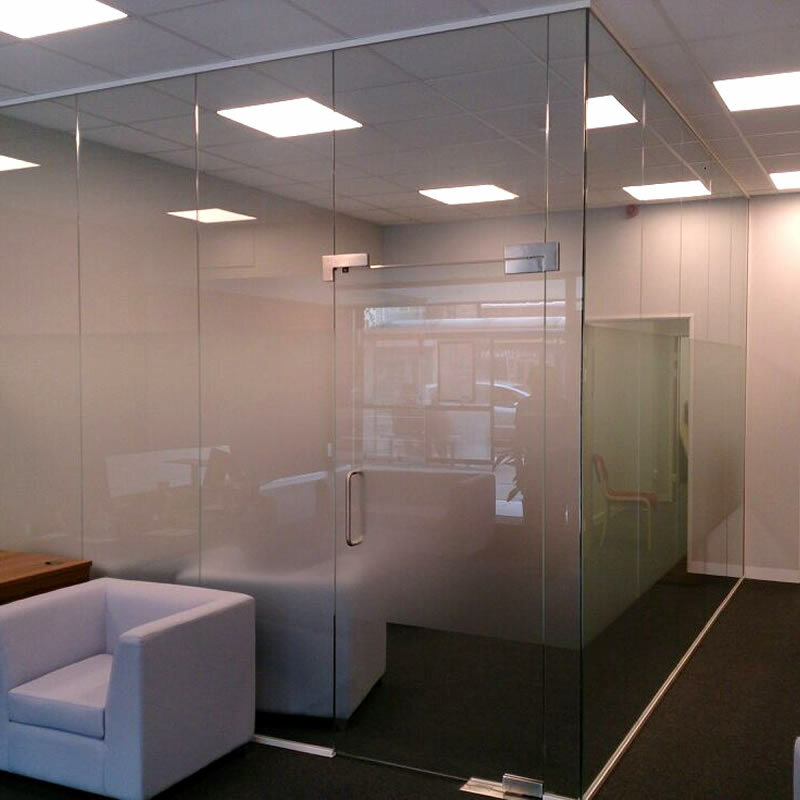 Glass partitions are available in a variety of options and for a range of budgets so are a suitable option for nearly all workplaces, allowing light to into all areas of your working environment.